Playing in the Sand - Those were the Days! We had dozens of practice tracks all over South Florida. Some of them were just plan crazy with how close we came to trees and such. Every time it would rain we would load up the bikes and head out to the tracks. They were so much fun to ride after a good rain. Christopher has decided to try his hand a event promotion. 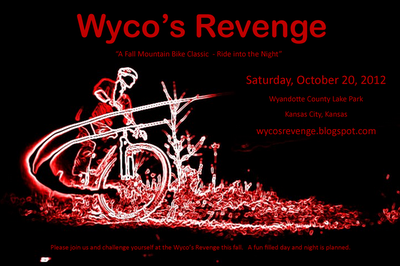 He needed a volunteer project for school and after some brain storming and talking with Cliff Jones it was decided he would create an event to help raise money for a Junior Cycling Team he would like to start and help continue to build those wonderful trails over at Wyandotte County Lake Park. So far this is what they have. It may be time to replace some of my old gear and tools. This past weekend I about had a heart attack while driving back from Perry, Kansas. 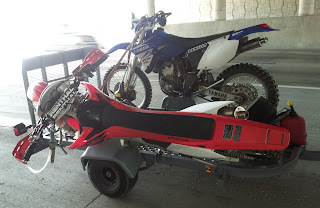 Christopher and I had just spend the afternoon having a great time riding and enjoying our new rides out a Perry Lake ATV and Motorcycle trails. All was going well up until I took the I-635 exit off of I-70. We navigate the ramp fine but just as we start heading North on I-635 a truck driver starts waving his hands at me. I wave back and proceed on. When I go to check my mirrors again I about crap my pants. The Honda CRF 250 X that I just got was gone. At least I could not see it in my rear view mirror. Turns out my 25 year old tie downs are not what they used to be. .....Joey, John and I were heading back from Jacksonville, Florida. We had just completed a round of the Florida Gold Cup series and were heading back home in his Ford Bronco. We had this little three rail trailer at the time that somehow managed to stay in one piece despite Joey's excessive driving speeds - very seldom were we ever going under 85 mph. I still do not know how we survived that summer and it amazes me that our little trailer with 12 inch tires made it also. On this day, while on an off-ramp going well over the posted speed limit, our little trailer loaded down with three motorcycles goes up on one wheel. The speed caused so much force on the trailer that up she went on one wheel. As I look back, I see the outside motorcycle's grips were dragging the pavement. True to his nature, Joey gassed it even more and sure enough the trailer straightens out. If he would have hit the brakes the trailer would have surely flipped along with our bikes. 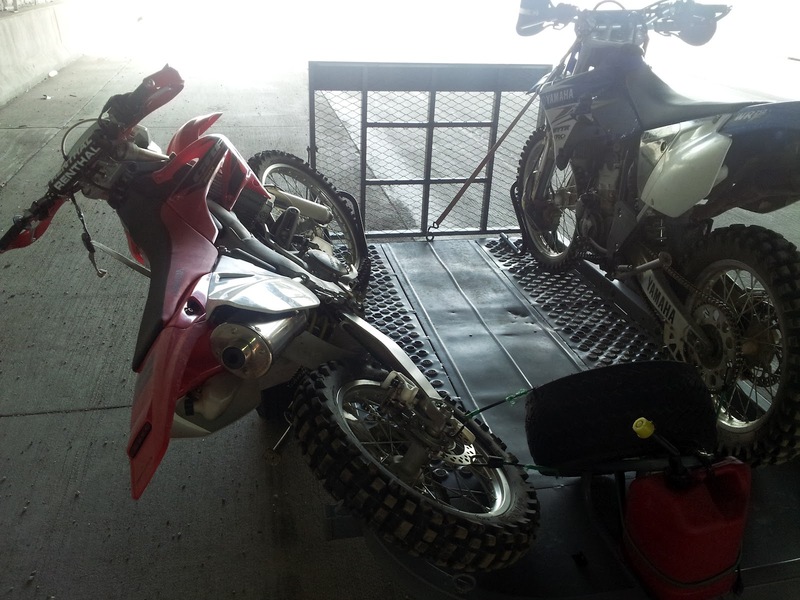 I have been working with Christopher on his motorcycle skills and showing him a safe way to ride. One of the harder concepts for him to learn is that sometimes it is better to grab a handful of throttle than to brake. 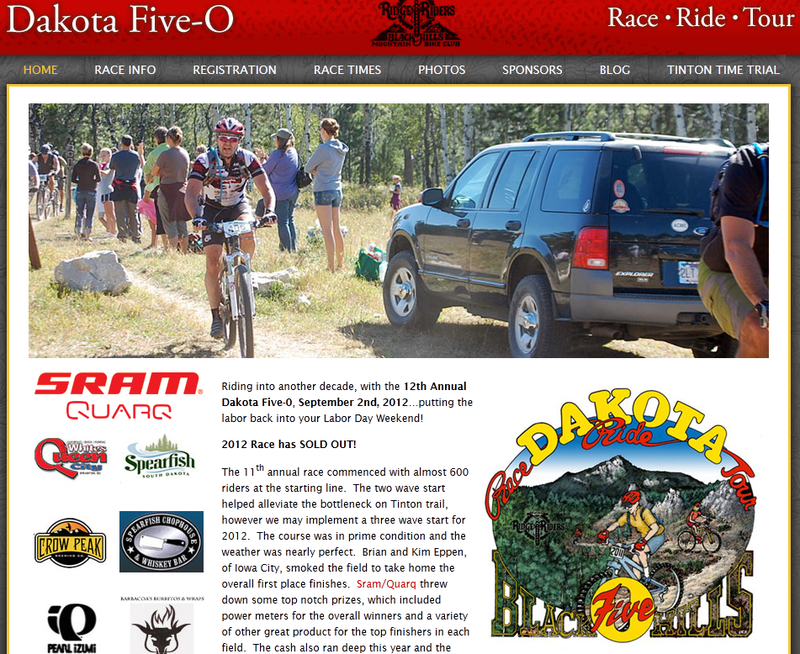 Like the old saying goes, "When it doubt, Gas it"
I was looking for some endurance MTB events that Christopher and I can participate in next year. 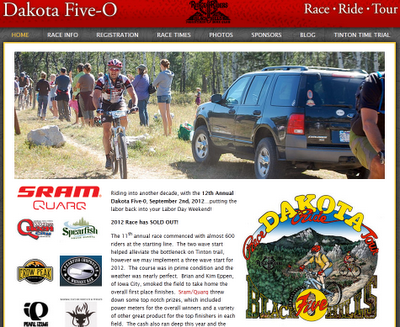 One event that we will not miss in 2013 is the Dakota Five-O. Work schedules did not allow participate this year. While checking their site out today I saw this. If you would have asked me 4 years ago what a typical weekend for me would be like in the year 2012, it would be nothing like what I am currently experiencing. 4 years ago my son Christopher stopped riding bicycles, was afraid of riding the motorcycle that we bought him and you could not get the kid to run even if he was being chased by a mountain lion. All he wanted to do was play video games. I never liked being pushed when I was a kid into doing anything that I did not want to do, so we did not push Christopher and let him mature at his own rate. I told him that I would support what ever he wanted to do, even if that meant doing nothing. Fast forward 4 years and my typical weekend is full of riding mountain bikes, going on family vacations to the mountains, riding motorcycles, swimming, running and even activities like shooting guns. Yes I have always done these activities, but now my son Christopher has joined me. The video games has been turned off for many months - a decision made by him, not his parents. I need to start following through with some of the ideas that I dream up. I have worn many hats during my working career - just trying to find myself and feed the family. Years ago one of the jobs that I had was delivering custom cabinets throughout Florida. The wood working company was based out of Sunrise, FL and had customers as far up as Jacksonville, FL. They needed someone that could drive and was strong enough to unload all the cabinets. I have a class A Commercial Driver License due to working in the trucking industry for decades. While I do not really enjoy long hall trucking or unloading freight, I needed money so I accepted the job. Part of me enjoyed the driving. Plenty of time to "dream" up new ideas. Believe me I had plenty of them. During this time I also completed my training/certification to become a personal trainer. 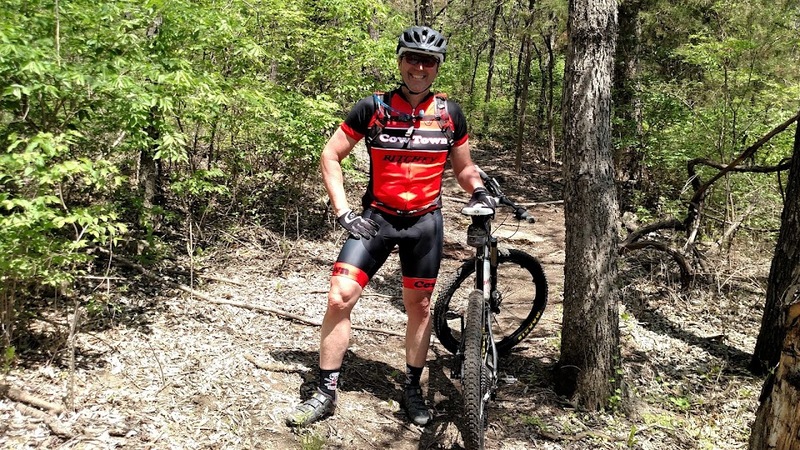 I enjoyed working out and riding my bike and really wanted to open up my own gym. I usually only had one or two stops each day so after I was unloaded I had the rest of the day to return back to the shop. Once a week I would get to head down to the Florida Keys for a delivery. 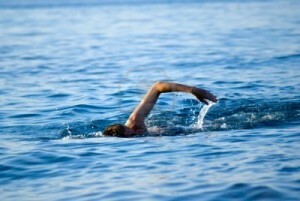 That was by far my favorite route because I would get to swim after I was unloaded. I usually parked at Big Pine Key and would go for a nice swim or snorkel. Unlike normal truck drivers I was not going to let that fact that I drove a truck stop me from making time to workout. 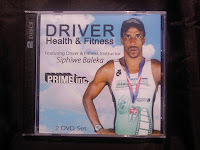 One of the ideas that I had was to write a book on how to keep fit while driving. Back then there was no "internet" or "DVD,s" so a book it was. My theory was that if you kept fit you would be a better more productive driver. Instead of spending time at truck stops eating greasy food, go for a run. Instead of hiring a lumper, unload the freight yourself - it is a hell of a workout to unload a 53' foot trailer believe me. I still have the rough draft of that book which included all kinds of workouts to do with just your body weight and techniques to get cleaned up after a workout - which can be challenging on the road. I am glad I listened to the program today because it gave me some motivation to follow through with some ideas that I have.